When the family business involves climbing Billboard charts, following in your father’s footsteps isn’t as easy as adding your name to the company letterhead. Success in the music industry takes real talent and the kind of tenacity that a pit bull would envy, no matter who your daddy is. 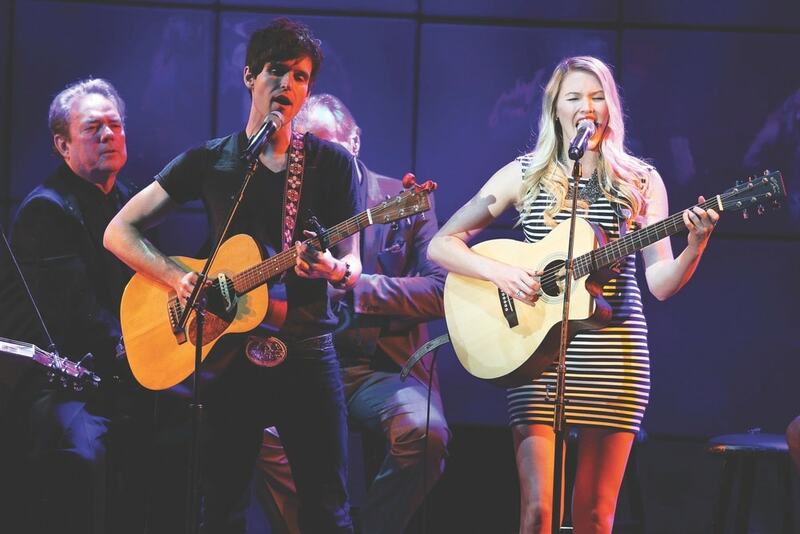 Ashley Campbell, daughter of the late Glen Campbell, knows that better than most. And she wouldn’t have it any other way. As a singer, songwriter, and virtuoso banjo player, Ashley is a triple threat on the verge of a full-fledged breakthrough. She’s about to be everywhere—an “overnight” success story that, like most, has been years in the making. Ashley grew up with her parents and two brothers in Phoenix, Arizona, hundreds of miles from the glitz of Los Angeles and even farther from the country music mecca of Nashville. That distance was intentional. Her mom, Kim, and her dad wanted to raise their children outside the spotlight and the accompanying scrutiny that many celebrity kids endure. 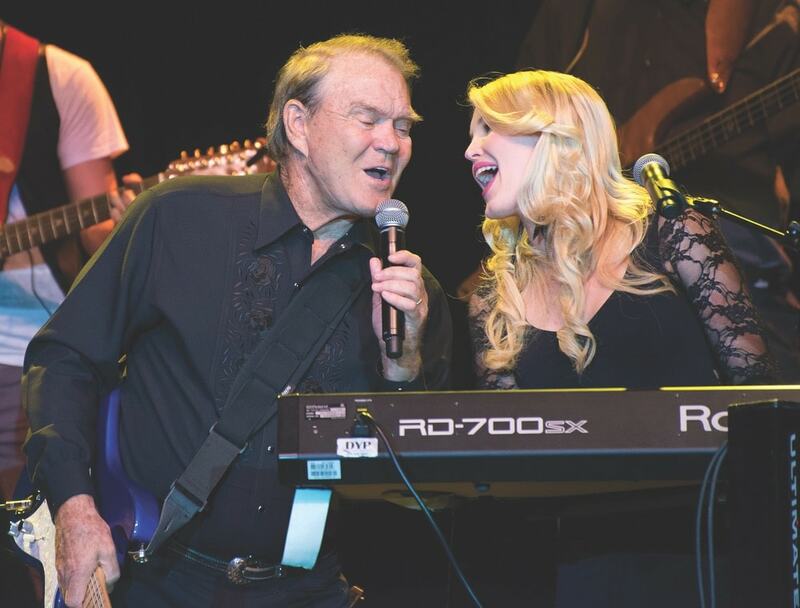 Glen Campbell performs onstage with Ashley during his 2012 Goodbye Tour at Route 66 Casino’s Legends Theater in Albuquerque, New Mexico. This quest for normalcy was, by all accounts, successful. Despite the fact that their father’s job involved performing all over the world, Ashley and her siblings spent their days going to school, playing with friends, and complaining about practicing the piano. Where their household differed from others on the block was in the amount of music that filled the home. Part of that stemmed from the elder Campbell’s line of work, of course, but the children created much of the family’s melodic life themselves, as they seemingly had music notes stamped into their DNA. By her teen years, she had fallen in love with musical theater, ultimately earning a theater degree from LA’s Pepperdine University. 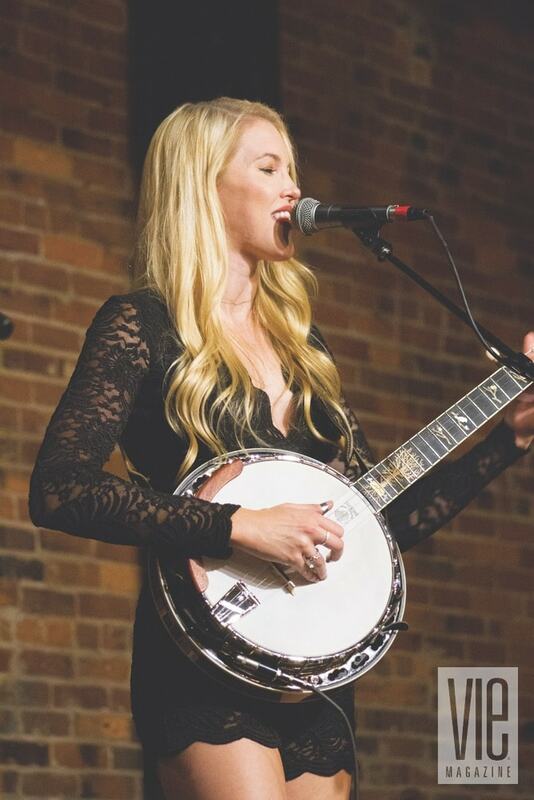 But a funny thing happened on the way to becoming a Broadway star—she picked up a banjo. During Ashley’s junior year, she was in a play, and someone in the cast needed to play the banjo. She volunteered to learn. What started as a helpful gesture blossomed quickly into an all-consuming passion. “We raided Jane’s closet for this outfit,” Ashley Campbell says, referring to actress Jane Seymour, whose son Sean M. Flynn took this photo for Campbell’s new studio album. If those years had a soundtrack, it would be bluegrass, which she performed with a band in between classes and term papers. More than a hobby, the banjo was a hard shove back to the “music” element of musical theater. The irony isn’t lost on Ashley; instead of serving as a stepping stone to acting, her move to Los Angeles reignited her love of making music. All that time treading the boards wasn’t wasted, though, as she would soon find herself on stage most nights. Ready for a little postgraduation R & R, Ashley asked to tag along on her dad’s tour to New Zealand and Australia. He agreed but also raised the idea of her playing banjo for his megahit “Gentle on My Mind.” Then the tour’s music director upped the ante by suggesting that she play the strings parts for the old standards on a keyboard. Instead of a vacation, Ashley got a gig playing piano on every song, accidentally becoming a full-time member of her dad’s band. Channeling A Tale of Two Cities, this was, indeed, the best of times and the worst of times for Ashley. She was living every musician’s dream, but she and her family were also dealing with her father’s 2011 Alzheimer’s diagnosis. 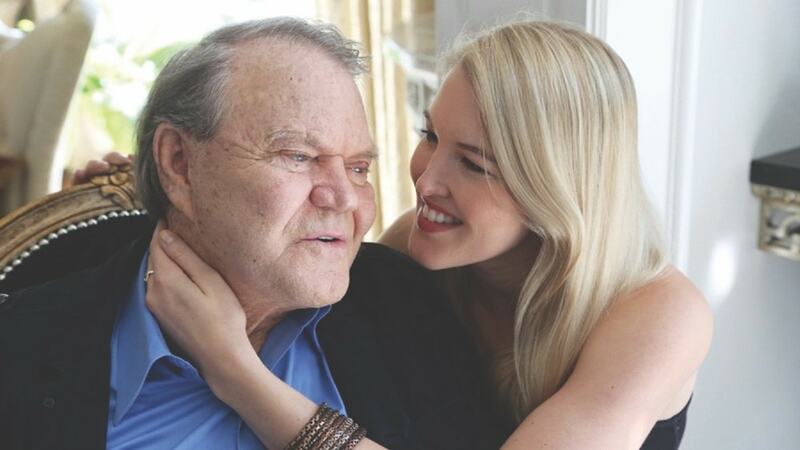 The two events are inextricably linked because she officially joined the Glen Campbell band in time for his worldwide farewell tour, which was captured in a 2014 documentary, Glen Campbell: I’ll Be Me. During those three years, she was playing with—and for—her dad, but Ashley was also pushing boundaries and finding her own sound. She performed with her brother Cal’s indie rock band, Instant People, which sometimes opened Glen Campbell concerts. And she settled into her voice, embracing the sweet yet soulful timbre that audiences now recognize as pure Ashley. Songwriting was becoming more important for her, too, as a productive way to channel the riot of emotions and experiences coming at her. From this period came songs like the powerful “Remembering,” which captures the joy of being loved by her father and the sorrow at seeing him slip away from her. The music video is spliced with Campbell family home movies that beautifully illustrate the enduring connection between father and daughter. Ashley recorded a rough version on her phone, and when she moved to Nashville a couple of weeks later, she met up with a songwriter friend, Kai Welch. She told him about the song, and the two decided to see where it went. Radio play wasn’t a consideration; Ashley simply wanted to record it as a keepsake. Instead, the song had an immediate, undeniable impact on listeners. She should have known that it was destined for popular appeal, she says now, adding that the best songwriting happens when you’re not writing for the radio. Ashley doesn’t write for the radio, and she doesn’t record for it either. Calling her style “rootsy, country, Americana,” she says it branches out into subgenres like pop and even mainstream country. While some artists might be afraid of not having an easily niched sound, Ashley has seen it work well before. She points out that her father was one of the first country-to-pop crossover artists, making what he liked and never worrying about the genre. It’s a strategy that seems to be paying off for his daughter. She was invited to be part of March’s C2C (Country to Country) lineup at London’s O2 Arena alongside artists including Faith Hill, Tim McGraw, and Little Big Town. Her name might not be as well known as her fellow performers on this side of the Atlantic, but Ashley is extremely popular in the UK. While country music stations in the United States have tight playlists and mainstream expectations, she explains that the UK is far less radio competitive. Her eclectic style and gift for storytelling have proved to be a particularly appealing combination across the pond. Campbell performs at VIE magazine’s 2017 Stories with Heart and Soul Tour event in Nashville on July 27 at The Listening Room Cafe. With a fine-tuned sound and global fans, the only thing missing for Ashley has been an album. But with the March 9 release of her debut LP, The Lonely One, that piece of the puzzle is finally in place. The album, named for one of its tracks, explores different shades of what Ashley calls “being in the lonely hours.” As cowriter for all of the songs, she admits that it sounds like a downer but insists that loneliness isn’t always a bad thing. From it can come inspiration and even love—two of the perspectives included on the album. The first single from The Lonely One is “A New Year,” a celebration of fresh starts and wide-open possibilities. Written with friends Jerry Flowers and Patrick Davis, the upbeat song reflects Ashley’s belief in the importance of being with someone who makes you want to be the best version of yourself. That conviction extends to her career as well. Her brother Cal coproduced The Lonely One with her, and she credits him with making the album better in every way. Opposites when it comes to their musical approaches, Cal took his sister’s signature “rootsiness” and added a bit of edge. “I love that edge, and I couldn’t have gotten there without my brother,” she says. 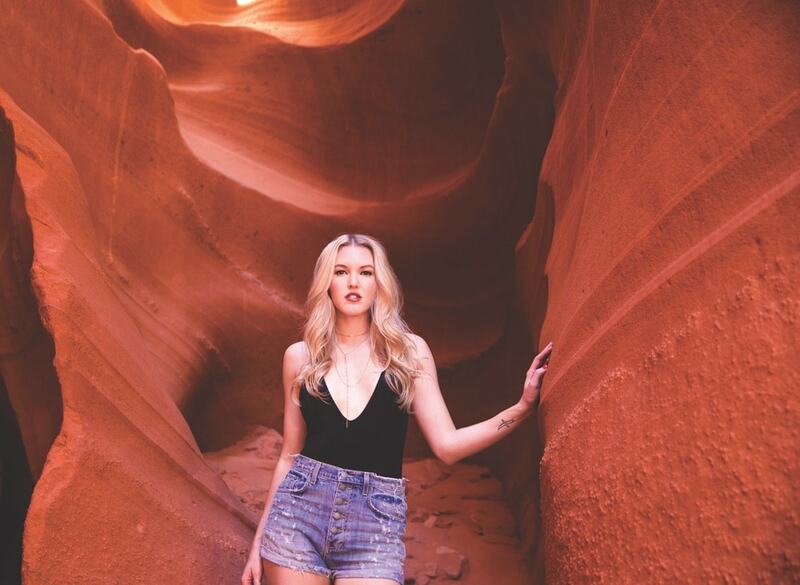 Check out Ashley Campbell's music video for her latest single, "A New Year," and look for her album coming March 2018! Tori Phelps has been a writer and editor for nearly twenty years. A publishing industry veteran and longtime VIE collaborator, Phelps lives with three kids, two cats, and one husband in Charleston, South Carolina.